Inglenook is one of the most storied properties in Napa Valley. Finnish seafaring captain and entrepreneur Gustave Niebaum purchased the Inglenook estate in 1879. 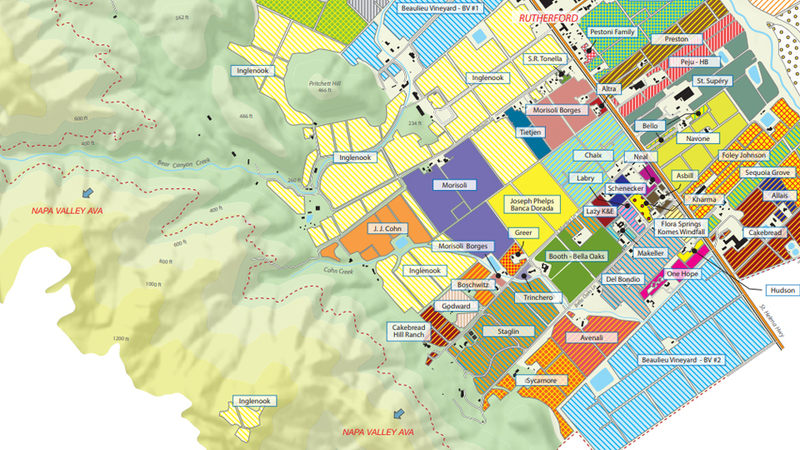 Under Niebaum’s tenure, Inglenook increased production and became one of the early leaders in Napa Valley. 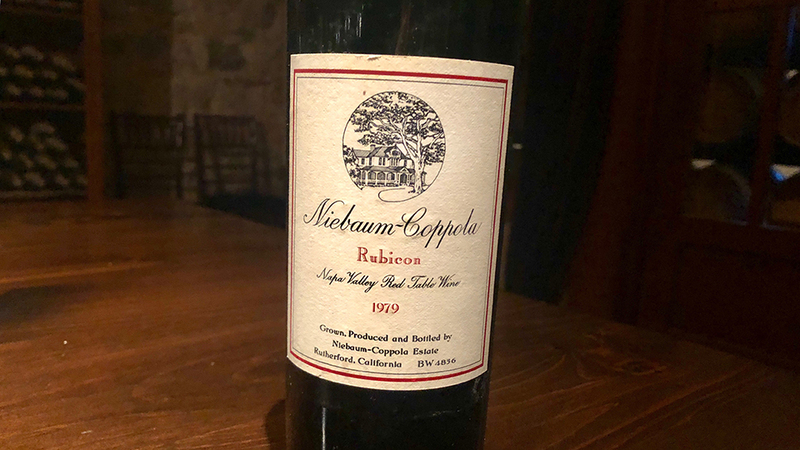 Niebaum’s grandnephew John Daniel Jr. took Inglenook to notable heights with brilliant wines in the 1940s and 1950s before selling the estate and the brand to Allied Grape Growers in 1964. Director Francis Ford Coppola bought the property in 1978 with his windfall from the first two Godfather movies, and christened his estate Niebaum-Coppola. Many years later, in 2011, Coppola was finally able to purchase the Inglenook brand and return the property to its historic name. In 1979, the flagship Rubicon was just in its second vintage. Tasted recently just shy of its 40th birthday, the 1979 is fabulous, with scents of dried cherry, iron, underbrush, mint, tobacco and menthol gracing a lithe, mid-weight frame. Absolutely impeccable in its balance, the 1979 has aged beautifully. The 1979 was made by Assistant Winemaker Steve Beresini, who went on to become Winemaker. A blend of 82% Cabernet Sauvignon and 18% Cabernet Franc, the 1979 spent 12 months in French oak barrels followed by 16 months in French oak casks, and was bottled in early 1982. The wine spent 2 years in bottle before it was released in 1984, a very different schedule than is the norm in today’s Napa Valley. What a pleasure it is to find this exquisite Napa Valley Cabernet in such great shape. 93/Drink 2018-2023.